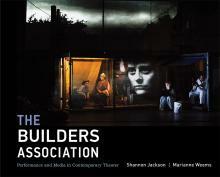 What inspired you to write The Builders Association: Performance and Media in Contemporary Theater? I learned about The Builders Association when they performed in San Francisco at Yerba Buena Center for the Arts. I thought theirs was such an intriguing aesthetic, joining the arts and technology in such an interesting way. I ended up getting to meet Marianne Weems, the artistic director, and she talked to be about their process. In that conversation, she also said how much she enjoyed working in the creative landscape of the Bay Area and hope to return. I was Chair of the Department of Theater, Dance, and Performance Studies at the time, and we were then able to ended apply for an artist residency program at the Arts Research Center. Of course such grants were eliminated after the budget cuts of 2008, but at the time, ARC’s residency program provided significant funding towards creating a residency with Weems and her collaborators in acting, playwriting, sound and video design. 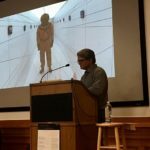 That project was proposed as a cross-disciplinary collaboration; other faculty sponsors included Ken Goldberg, from the Department of Industrial Engineering, and Anne Walsh, from the Department of Art Practice. We worked together to imagine that residency wherein the Builders created the first version of a show called Continuous City; this was a piece about digital connection in a globalizing world, thinking about what it means to be connected to and disconnected from the people with whom we work and the family members whom we love. It was also a residency that allowed them to experiment with new intermedia performance forms. It ended up being a collaboration that involved students from across the campus. Students from TDPS students served as primary actors in the piece and in technical theater and design. Student sound designers from CNMAT [Center for New Music and Audio Technologies] apprenticed to the Builders sound designer Dan Dobson; students from departments of Film and Media as well as Art Practice apprenticed with Peter Flaherty, the Builders’ video artist for Continuous City. A student from iSchool created an interactive website that was associated with the piece. Equipment was donated from the Computer Science department. 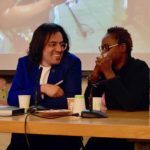 Faculty and students from City and Regional Planning and from Architecture departments served as quasi-dramaturgs and consultants on the topic of the global city. All in all, it ended up being a collaboration that involved 14 different departments across the university, a piece that brought the Arts into vital interaction with the S.T.E.M. fields and with scholars of urban space. The residency also gave the Builders a chance to learn from our students about how they were using social media. As part of the audition for this show, Marianne ask students to present their Facebook profiles. I also remember one moment, later in rehearsals, where a student actor was helping the Builders develop the script around Facebook and was working on a monologue while her own Facebook page was displayed on the screen. At one point, during a lull in the rehearsal, the student wrote a status update on her profile that said, “I am onstage.” This was a revelation to Marianne, “Wait! You are onstage and on Facebook?” It was one of those moments where the live and the digital coincided in the same theatrical moment. Having The Builders Association in residency made me realize how much research they did toward every show and how deeply they were experimenting with the theatrical apparatus. When Marianne said that had been talking to different editors about a book on the Builders, and she asked round-aboutly whether I would do it, and I jumped at the chance. We wanted it to be a book that showed the research process as well as the nature of the collaboration that’s required for every Builders show. Traditionally in theatre, we have a notion that you rehearse for 4 to 5 weeks in a studio, then you get into the theater during tech week, when all of the lights, set, and costumes, come together. In the Builders type of theatre, technology is a central character, an essential part of the argument of every piece. As Marianne has said, “Every week is tech week.” When we were designing the book and thinking abut the depth of research that goes into every show, we decided to cluster different kinds of information under rubrics such as “R&D,” “Operating Systems,” or “Storyboard.” We were looking for terms that cross the fields of technology, arts, and humanities to give readers a sense of theater-making as a process of construction. I hope that, in reading the book, people get a sense of how hard these artists work at the arguments of their pieces, as well as the aesthetics of their pieces. They do deep research on every topic, whether it is ethnographic work, archival work, or secondary literature reading. 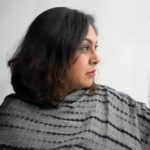 They also think very imaginatively about technology and new media systems as artistic forms; they are a theater company that uses new technology but that also provokes reflection and debate about the role of technology in our lives. The theater turns out to be a great place to do that kind of exploration. I also hope that readers come to an understanding of the courage and perseverance required to sustain a company over different iterations for 20 years. It takes a great deal of labor and personal sacrifice, commitment, friendship and love to sustain an artist group. What was the most intriguing fact/story you uncovered while working on the book? What’s interesting about The Builders Association is that they are billed as a “new media” performance group, yet what’s really striking is how much of their theatre is about investigating “old media.” I think that’s a central argument of the book. In a climate where we wonder and worry about new media evacuating the essence of our art forms, the Builders recognize that technology has been embedded into the deep history of theatre — and embedded into all art forms– for centuries. Technology is not a new thing; it’s part and parcel of our apparatus. The excavations of 19th century popular culture, early cinema, the “cinema of attractions” have all inspired the Builders’ sense of what theatre can be now. The assembly of machine, human, and stage was such a huge part of the popular performance traditions of the 19thcentury and that is what they are recalling in their “new” experiments. So the investigation of old media practice ended up creating the basis for their new media aesthetic. The lines between old media and new media are very blurry, and The Builders Association reminds us of that fact with every show. To get your copy of The Builders Association: Performance and Media in Contemporary Theater, visit here. A shortened version of this interview is available on the TDPS website.